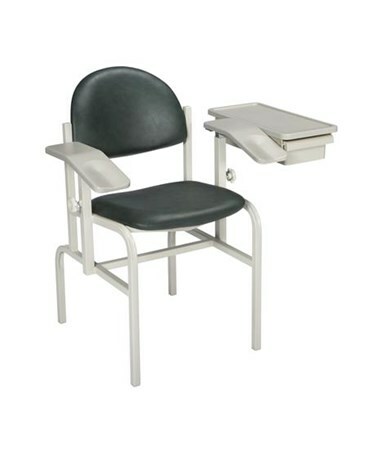 The Brewer Blood Drawing Chairincludes two add-on work surfaces to accommodate prep materials, paperwork, and viales. The optional drawer easily attaches to either side of the chair. Most importantly, these work surfaces are covered in a bacteriological, chemical and fungal resistant material, ensuring they are easy to clean and maintain. 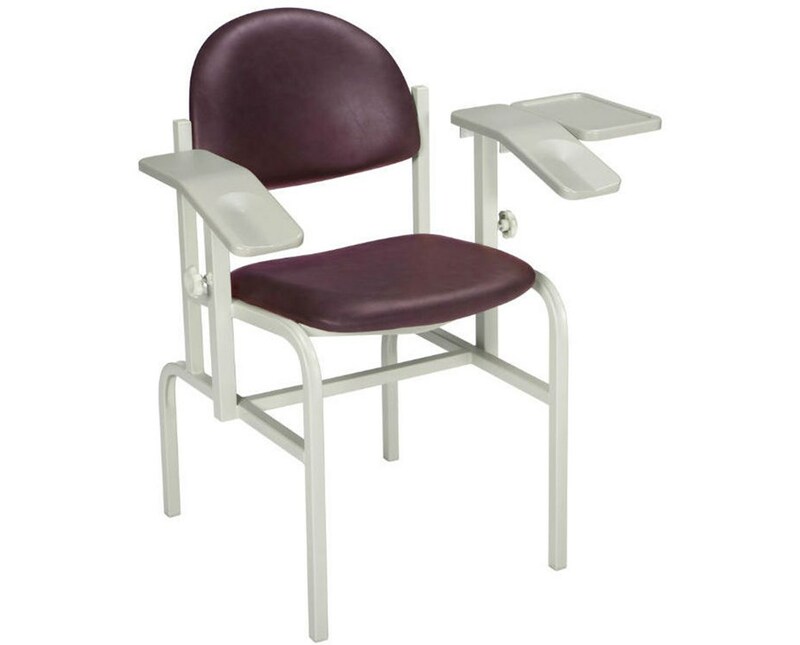 Comfortable, ergonomic armrests are specially designed at a 15° angle to position the patient’s arm in the optimal position for blood collection. 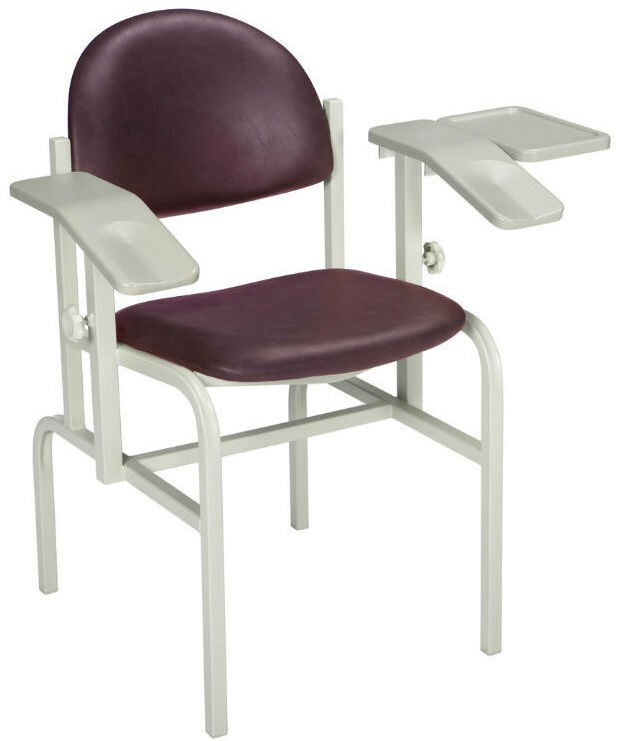 This new industry first design makes this everyday process easier for the healthcare professional and more comfortable for the patient. It includes 5 year warranty. 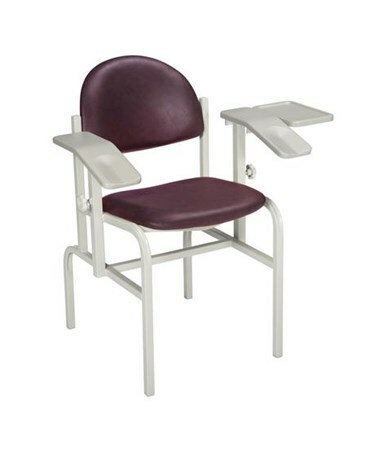 Blood Drawing Chair is available in 18 standard colors.Selection available at the top of the page. Available in 18 Standard colors.